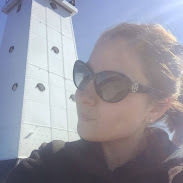 Yesterday a friend invited me last minute to lunch at the beach. Since I hate showing up empty handed I made up a quick batch of kicked up crackers. They’re the perfect summer time snack and simple to construct. 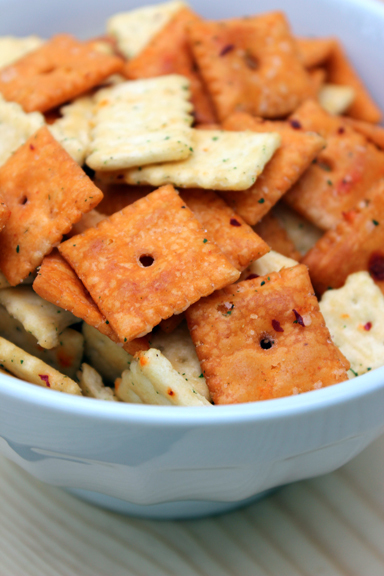 I used half a box of each Cheez Its and mini club crackers, combined with 2 tablespoons dry ranch dip mix, 1 tablespoon crushed red pepper flakes (2-3 tablespoons for a real kick) and 2 tablespoons of oil. Mixed around in a bag and placed in an airtight container. Awesome idea, I'll bet they were delicious! I keep seeing this idea on Pinterest and have been wanting to try it, these look delicious! Yum! Such a great snack to throw together at the last minute. Anything with dry ranch seasoning is always delicious. And I saved this idea too. Perfect to bring along to summer get togethers!